Many people believe that getting a mattress is straightforward, that all mattress stores are similar and that you should just stop at the first place that you see and negotiate for the best deal. But is this the best approach to purchasing a product that you will have to spend at least a ⅓ of your life on and which can either provide relief to a multitude of current or potential health issues or exacerbate them instead? Many folks do more research on the latest technological products which will change within a year than on a mattress which they will have to live with for 6-7 years or longer. Given these numbers, people should consider carefully where they go for their purchase. Getting a fair price is important, of course, and we have a reputation for just that, but that is just one of the reasons why you should come see us. 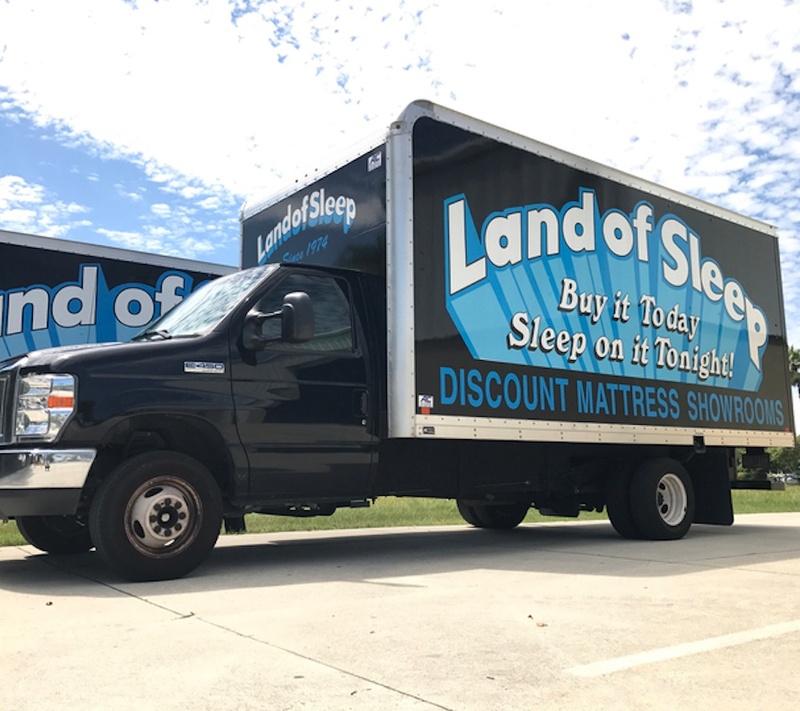 Everyone in this business claims to offer true customer service, but at Land of Sleep we are one of the few stores where, for one, we truly give you free delivery, free setup and free removal of your old mattress. Many people assume that “free setup” includes free delivery or that “free delivery” includes any item. Well, folks, beware: free setup is exactly what it sounds like - the company will set up your mattress for free, but of course, delivery may not be and is often not included. Sneaky way to get you through the door, huh? Furthermore, many persons just don’t read the fine print underneath the “free delivery” slogan and fail to notice that it may be followed by something like “of items costing more than $700.” At Land of Sleep if we say free delivery, free setup and free removal, we mean just that, no ifs, ands or buts. We don’t charge per room, like several of our competitors, nor do we charge $50-$75 per delivery like others do. And when we tell you same day delivery, we are there on the same day that you purchase your mattress, weather and availability of the item permitting of course. Another slogan to be aware of is “come and talk with our trained sleep specialists.” Sounds great, doesn’t it? Well if you want a “trained sleep specialist,” that’s fine as long as you understand that the term may well be a synonym for trained salesperson. If you want an expert instead, please come talk with Tina at our Sarasota location, who has been doing what she does, and doing it well, for 20 years. 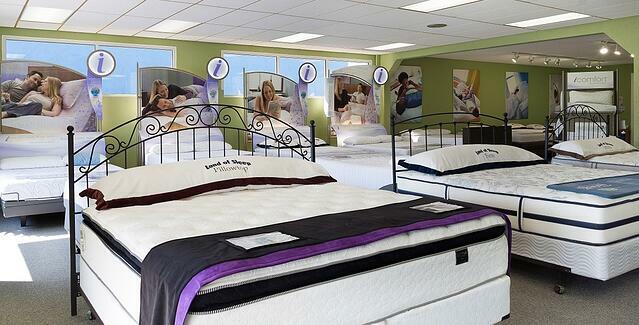 We are a local, family-owned and operated store and we know our mattresses. John from our Venice location has been doing this since the 1970s and many of our salespersons since the eighties and nineties. Our people want to educate you, listen to your needs and help you to purchase the absolute best mattress that you can afford. At our store, you get to sit on and lay on our mattresses and beds and we can’t fathom that at some of our chain-store competitors you can only look at them. If you purchase an adjustable bed, there is technology that may need to be serviced for the lifetime of the item. Do you think that a big retailer is going to want to make you happy even after you buy their product? 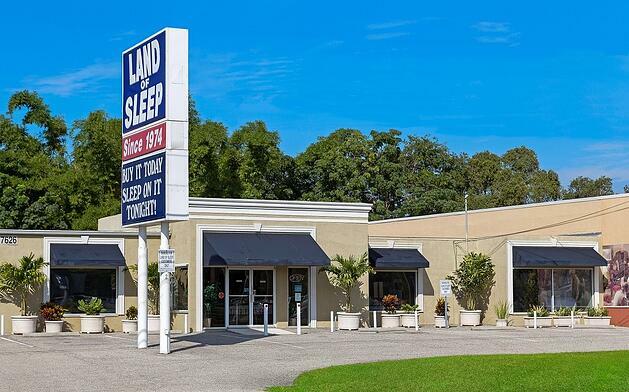 At Land of Sleep we have a great reputation to uphold and we know that we have one shot at delighting our customers. Furthermore, we know that if you’re satisfied, we will get referrals through word- of-mouth. Some of our clients have been with us for years because they know that they can count on us, over and over again. And that’s why you should drive past the 17 stores to get to ours.